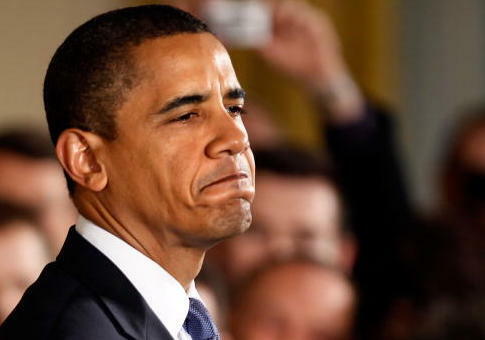 Former President Barack Obama is about to become the most expensive ex-president, costing taxpayers $1,153,000 next year, according to a new Congressional Research Service memo. As a result of a 1950s-era law, every former president receives an office, expenses, and in some cases, an annual pension payment. The law came after former President Harry S. Truman struggled to obtain income after he left office in 1953. In 2018, Obama will surpass the budgets of the other four living former presidents, the Washington Times reported. His budget is expected to be more than $100,000 more than George W. Bush, and almost $200,000 more than Bill Clinton's expected budget. George H. W. Bush is set to receive $942,000 in 2018 while Jimmy Carter will receive $456,000. The majority of ex-presidents since Truman have found ways to make their life financially rewarding after leaving the White House; however, the "perk" of taxpayer-funded contributions remain. Obama's 8,198 square foot, Washington D.C. office will cost taxpayers $536,000 in 2018—a higher expense than any other ex-president's office cost. His pension payment is also the highest at $236,000. In comparison, Clinton's is $231,000 and George W. Bush's is $225,000, according to General Services Administration figures. Carter's benefit budget tends to be lower than the other living presidents because he only served one term in office, and that term was his only time as a federal employee. As a result, Carter did not meet the five-year minimum required to receive health benefits. Former presidents' budgets do not include costs for protection services. The U.S. Secret Service provides ex-presidents and their spouses with protection for life, a cost that is not public, but is reported to run in the tens of millions of dollars. This entry was posted in Politics and tagged Barack Obama, Bill Clinton, George H.W. Bush, George W. Bush, Jimmy Carter. Bookmark the permalink.